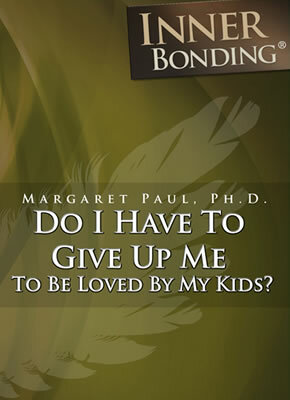 Home > Learning Center > Conflict Resolution > Are You Loving Yourself Or Avoiding Conflict? How honest are you willing to be with yourself regarding your intent? Sometimes, when there is conflict in a relationship, it's hard to tell if you are withdrawing to avoid conflict - or as a way of punishing your partner - or if you are lovingly disengaging to take loving care of yourself. "I am trying to tell if I am actually taking care of my inner child when I leave a raging argument with my husband, or whether I am simply withdrawing to avoid conflict. I have let go of trying to get him to hear me, and am getting better at lovingly disengaging when the yelling and blaming begin. When I disengage, I always say that I will return later to talk, if he is open to this. However, I find that since caring for myself in this way, I have almost no loving interaction with him otherwise, and feel as if I am 'checking out.' Am I using 'loving disengagement' as a way of not having to work on this relationship? How do I know whether I am truly caring for myself, or simply avoiding conflict?" It sounds to me like Alyce may be initially disengaging lovingly, but then withdrawing to avoid her painful core feelings. The clue to this is her statement that she has "…no loving interaction with him otherwise, and feel as if I am "checking out." When we lovingly disengage, we keep our heart open and do our own Inner Bonding process. We lovingly manage the core pain of loneliness, heartache and helplessness that arise when we are yelled at and blamed. We do whatever we need to do to stay open and loving toward our partner so that if or when he or she is open and ready to re-engage, we are there for that. Checking out is the same as withdrawal, and the intent is to avoid the painful core feelings and to punish your partner for their unloving behavior. The clue to understanding whether you are loving yourself or avoiding conflict is to be very honest with yourself about your intent. The wounded self is tricky. The wounded self may be saying that you are lovingly disengaging because you are “letting go of trying to get him to hear me, and am getting better at lovingly disengaging when the yelling and blaming begin. When I disengage, I always say that I will return later to talk, if he is open to this." All this sounds great, and if you then go the next step and proceed to do your inner work, then you are truly disengaging in a loving manner. This is very different from “checking out” . I would need a little more information to fully understand what is happening here. I would need to know if Alyce ever goes back to her husband with an intent to learn, and if she does, what happens. If her husband never opens, then perhaps Alyce is checking out rather than accepting the truth about her relationship – that her husband isn't going to open to learning and growing with her. As I stated above, she may initially be lovingly disengaging and then retreating to withdrawal as a way to avoid the pain of the truth of her relationship. Again, this is all about intent. If your intent is to love yourself AND others, then you need to stay open to the truth of what is happening between you. If your intent is to protect/control/avoid, then you will shut down to avoid the core pain of your unloving relationship. None of this is black and white, and none of it is easy. Relationships are rarely easy. And, our intent can change moment to moment. Alyce may be open in the moment she disengages and then close up to avoid the pain of the reality of her relationship. It's really a matter of how honest we are willing to be with ourselves. How Do I Stay With Myself In The Face Of Others� Unloving Behavior? 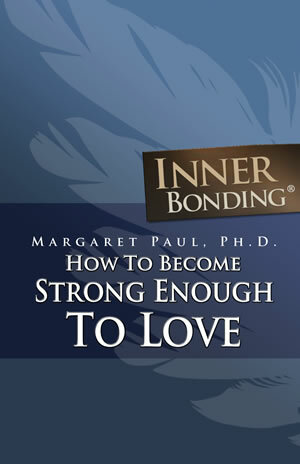 Looking for help with Are You Loving Yourself Or Avoiding Conflict?? Search for solutions on Are You Loving Yourself Or Avoiding Conflict? 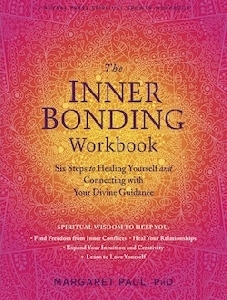 within the InnerBonding.com website using Google's Site Search.